blusolar , Fatboy Slim, Nick fiorucci ft kelly mallbas , Threedrives, Kamui and more. 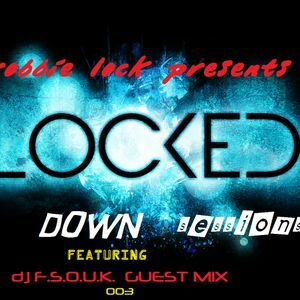 in the 3rd part of the locked down sessions is a special guest mix by a dj who is a special friend of mine. from the city of glasgow where many talented musicians come from is the dj F.S.O.U.K. aka the future sounds of the united kingdom. a unique flavour of distinctive sounds is sure to get you in the mood to party with this very stylish blend of trance and tech productions. i am very proud to announce to you for the next hour with the sounds of dj F.S.O.U.K.